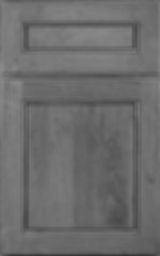 Nature holds a deep, dark secret for cabinet makers: Black Walnut. The darkest species found in North America, Black Walnut was the wood of choice among furniture makers in early United States. Once again this rich, sought-after wood is gaining popularity. Tight grains and lovely hues make it well-suited for fine cabinetry and furniture pieces. With color variations that run from beautiful, purple-toned dark browns to the creamy whites of sapwood, you can be confident that your kitchen will make an exceptional impression.